What do Chicago City Hall, Buckingham Palace, and the Waldorf-Astoria all have in common? As crazy as it sounds, they all have rooftop beehives! With an increasing appreciation for the good work that bees do and the luscious honey they produce, more and more of us are looking to our backyards — great or small — and thinking, where shall I put my beehive? Whether you’re in it for environmental or foodie reasons, beekeeping is very doable wherever you live. Read on for our 6-step ultimate beginner’s guide to keeping beehives in your backyard. Backyard Beekeeping is highly satisfying and rewarding, but it’s not without its challenges and it does need good planning. You’ll also need to stick to a schedule to keep your beehives in tip-top condition. This being the case, don’t skimp on the homework. Everybody’s setting is slightly different, so you need to research what will work best in your neighbourhood. This will also help you to work out what beekeeping equipment will best serve your needs. Before going out and buying your beehive, take a moment to reflect on the best place to locate it in your backyard. Face the hive south-east. Your bees will be woken up early by the sun and be encouraged to get to work! Remember, it’s unlikely that your backyard will provide all of these straight away, so don’t stress! 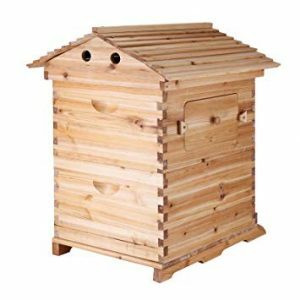 In nature, bees gather in far less hospitable places than your purpose-built beehive and survive – yours can too. One point to mention with regard to ventilation is that while some breeze is beneficial, they will not thank you for being in an exposed location. If your backyard is like that, consider putting up a protective fence or other windbreaks. If your backyard is not so much a backyard as a roof, then don’t despair. With some careful management, use of existing walls and structures, you can come up with a good compromise so that your bees can still thrive. It’s easy to understand why not everyone may love bees as much as you do — after all, some people are allergic to their stings and live with the very real fear of anaphylactic shock. Therefore, before deciding where you will place your hives, consider your neighbours. Think beyond the boundaries of your backyard. Are there roads or sidewalks where people pass regularly? If they are in the flight path of the bees, consider putting up barriers such as fences or tall shrubs to redirect the bees away. Think about your immediate neighbours and how they will be affected. Again, it may be possible to direct the bees away from their properties, depending on the size of your plot. Rooftop beehives may cause less of an inconvenience to others as they will be dispersed away from the area immediately above ground level. Also, check first that no local ordinances apply that restrict or prevent beekeeping in your area. 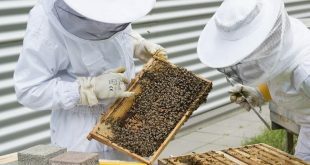 Unless you live in an area where it is prohibited, there’s likely a thriving community of beekeepers near you who are ready and willing to share their suggestions. Check out forums and local websites and be sure to listen to their advice. They’ll likely have good suggestions to avoid problems in your colony and can help you to avoid pitfalls and disease. Depending on the size of your backyard (and your ambition) you may choose to begin with one and take it from there. 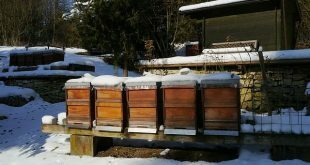 Make sure you read our blog on the different types of beehives, to help you choose the right beehive for you. If you’re looking to ease yourself in, you may choose an ‘everything but the bees‘, beekeeping starter kit. You can also see reviews of the VEVOR 7 Frame Beehive here. Once your hive arrives, take time to become familiar with its particular way of working. Some, such as the one featured, are designed to make harvesting the honey easier, with less disruption to the bees. When the time comes to buy your bees, you have two main options — mail order and from a local supplier. If you go for mail order, they will come in a specially designed wooden ‘bee box’, complete with a separate section for the queen, and a tin of sugar syrup to keep them fed and happy on their journey. Locally, you can also contact a bee breeder and purchase a ‘nuc’ or nucleus of bees, brood and a laying queen. The frames should be able to easily slot into your beehives, given their universal design, making the process very smooth. The advantages are that as they are already local, you know they’re likely to do well. They have also not had a stressful journey through the mail system. The key point to take away for beginners — do your homework and you’ll be rewarded. 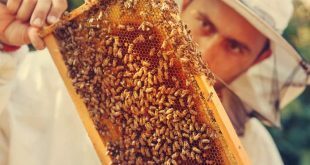 Beekeeping can be very rewarding and the hives are not only a great hobby — they yield a mouthwatering product and will bring you hours of satisfaction. 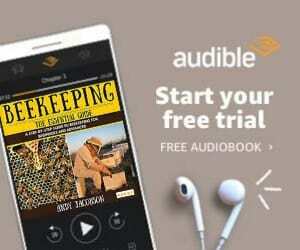 At EbeeHQ, we’re passionate about beekeeping and helping others join us in the wonderful activity. 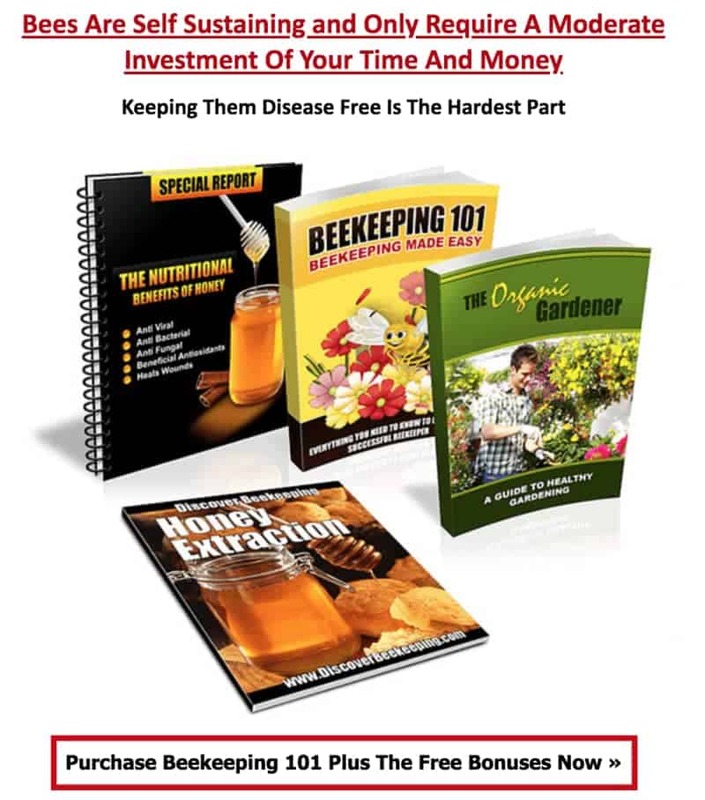 Therefore if you’re interested in reading related articles, take a look at the following articles, including everything from how to start a beehive, to the best honey extractors on the market.